When I saw this quilt on auction, I thought this one is for me! I could not resist to such colors! 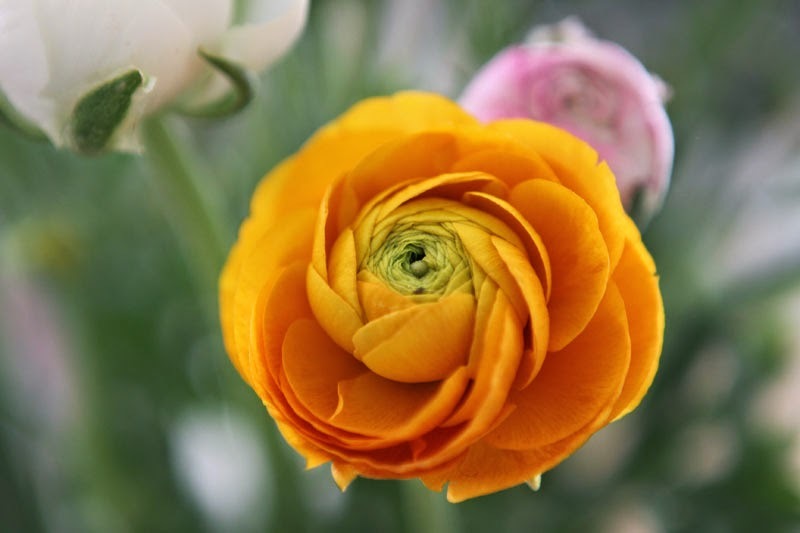 Especially to the yellow of the sashings and the violet of the blocks. 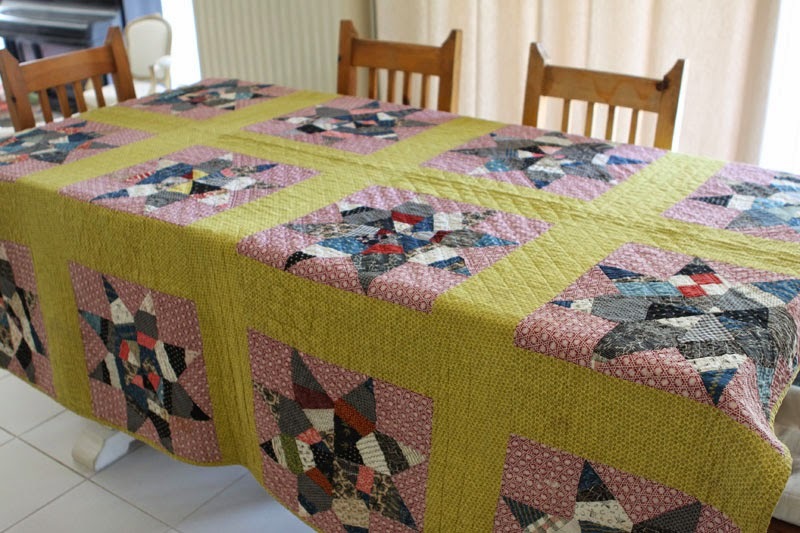 The person who did this quilt must have had an idea about complementary colors! I as well love the scrappy stars. 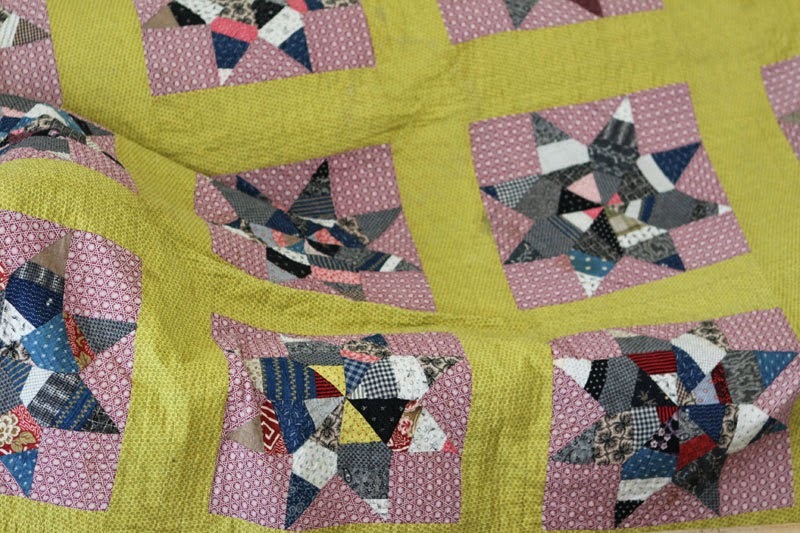 This is an end 19th century quilt in a very good state, nicely hand quilted. I did some trials in the lounge to find the appropriate place to display it and finally decided that it will be fine on the dinning-room table. It enlightens the room! 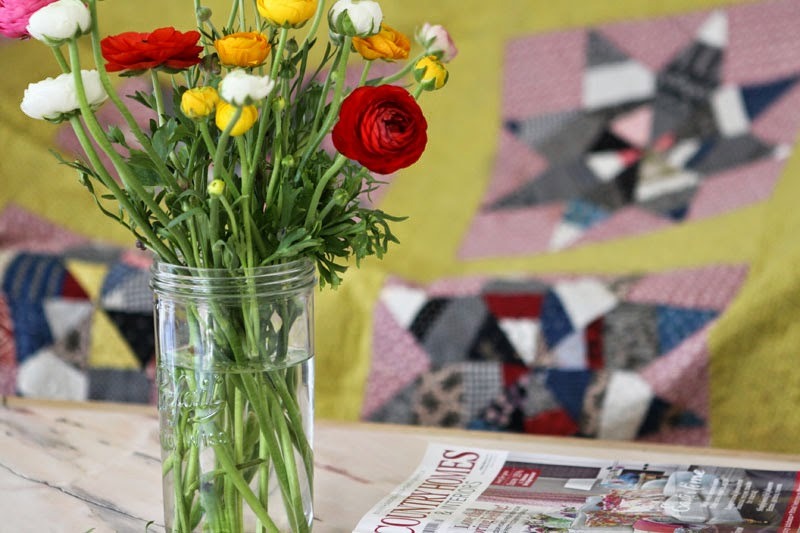 One of the things I love is to decorate the house with quilts and flowers. 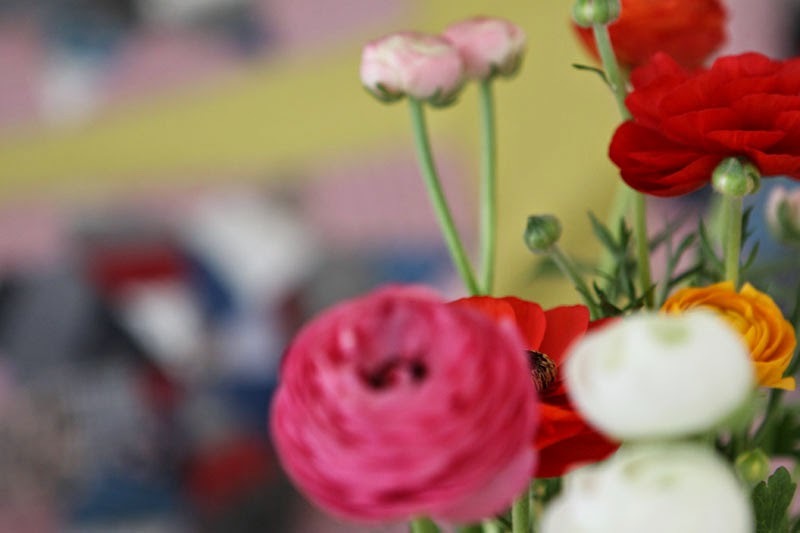 Here is a bunch of ranunculus freshly brought from the market. Such lovely and joyful colors! Just perfect...thank you for sharing this post. I love your 'new' quilt! A great find! Wonderful colors! And you took such lovely photos ! Both the quilt and the flowers are gorgeous! 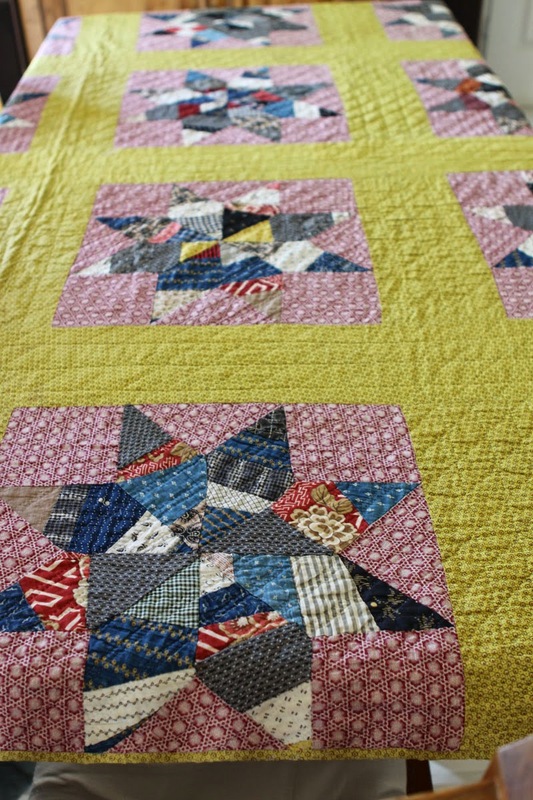 I wouldn't be able to resist the yellow in the quilt either! WOW!! WOW!!! WOW!!!!!!!!!!!!!!!! 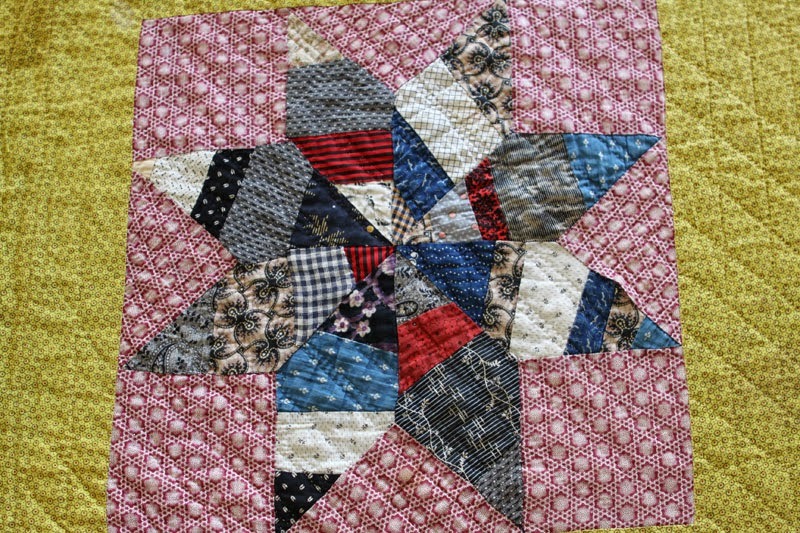 Love this quilt...what a find!! 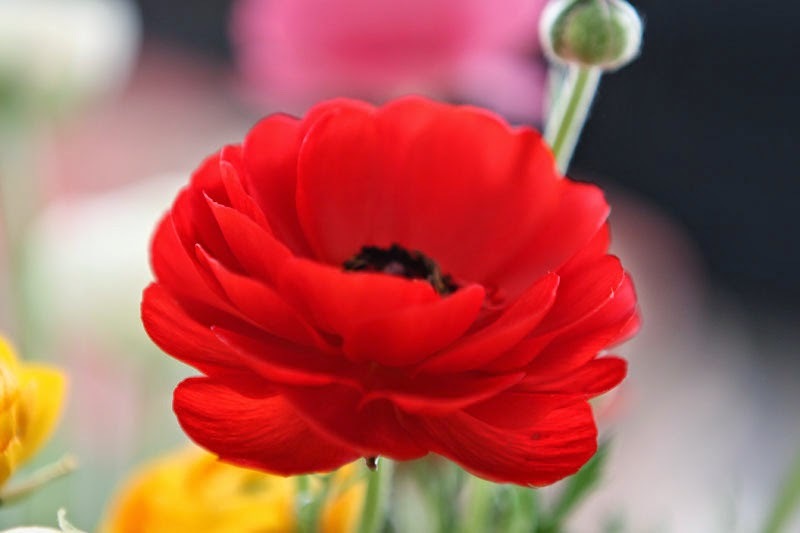 It looks gorgeous on your dining room table! 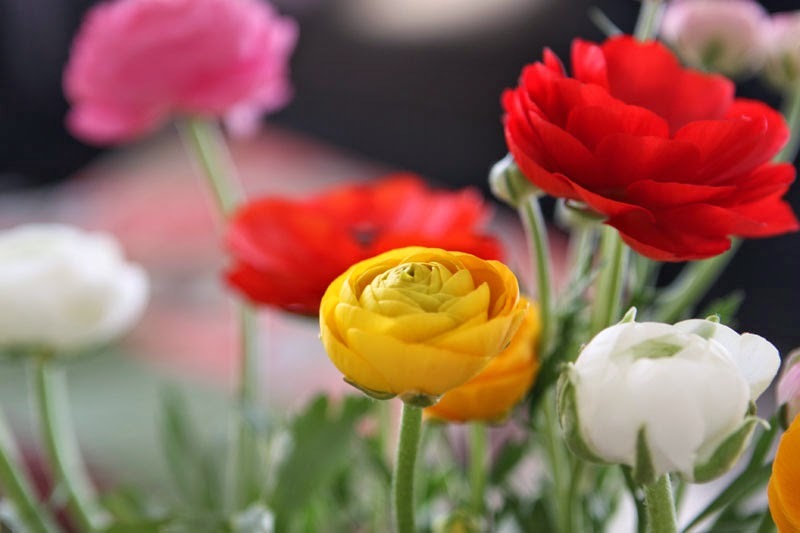 It deserves such beautiful flowers! J'adore ! Le quilt , les fleurs , un joli message qui éclaire ma journée ! Merci Christine ! What a wonderful, wonderful quilt. You are so lucky to own it so you can touch it.